That’s an increase of 175 million from the current count of 165 million Chinese retirees1 – a figure that not only exceeds the current population of the US2, but also makes them an emerging force in global property markets that will amount to one of the world’s largest consumer base. More importantly, this massive market of China’s silver generation has equally substantial funds at their disposal. Older Chinese are sitting on a hefty share of the $2.4 trillion in savings3 planted in China’s banks4, having lived through China’s boom years, benefited from rising incomes, and capitalised on China’s fast-growing property markets. Aside from insurers, individual retirees – or those planning for future retirement – are now becoming much more active in global property markets, in part because their horizons are broadening. The waves of outbound tourists from China, which numbered 120 million in 2015 and is projected to hit 139.2 million this year, are becoming more globally savvy as they get to know more countries around the world, and older generations are well and truly part of this outbound trend. 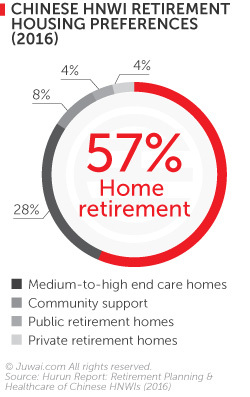 Increased awareness of overseas opportunities gives retirees more options to build an overseas lifestyle as well. This is because times are changing, and no longer are China’s rich and wealthy completely adhering to the Confucian ethic of filial piety, whereby Chinese children take care of their elderly parents when they are unable to care for themselves. And for this silver generation, ‘independence after retirement’ translates into living away from their children as they search for relaxed and enriching lifestyles that come hand-in-hand with plenty of travelling around. That said, with China’s dubious environmental quality, many Chinese retirees are on the lookout for an overseas property with access to both top quality medical care and attractive living environments while jet-setting around the world. 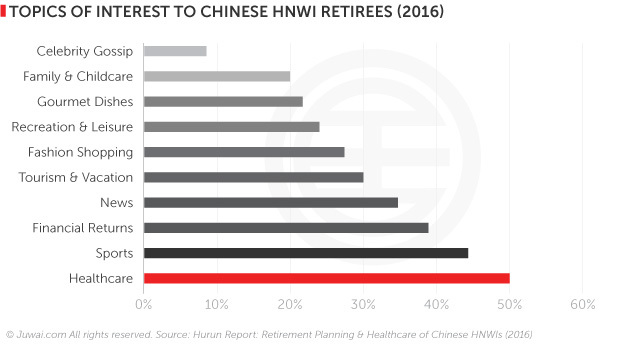 In fact, Chinese spent $10 billion on medical tourism in 2015 alone, of which Chinese retirees are an important part of this market – and it’s this growing market that is helping to spur property investment in destinations famed for medical treatments, such as in the US. 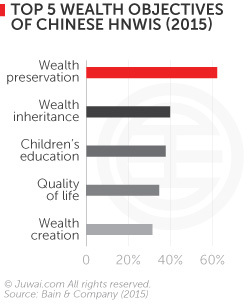 Asides from lifestyle concerns, Chinese retirees are also generational investors who also want to ensure that they are providing for the next generation. With this in mind, an overseas property in a suitable location not only offers a Chinese retiree a unique opportunity to meet their lifestyle aspirations, but also provides both a springboard for their children and grandchildren to enjoy overseas educational opportunities, as well as securing a high-value asset which they can pass on to the next generation. Even as Chinese mentality is changing, so is the world to make it easier than ever for Chinese retirees to seek an overseas retirement. This factor, together with expanding international transport links from China’s lower-tier capitals, will open up many more opportunities for travel, and make it more feasible for retirees to split time between bases at home and overseas. Countries all over the world are opening their doors to Chinese investors too. 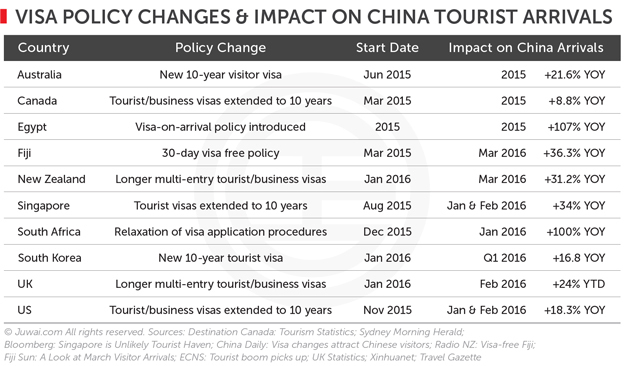 Recent moves by Singapore, Australia, the UK, and the US to increase multiple entry visa validity for up to 10 years – plus the raft of ‘golden visa’ residency programs offered by locations such as Portugal, Spain and Greece – all mean that Chinese retirees are now spoilt for choice when it comes to choosing overseas retirement locations. Interestingly, China’s government is making it easier than ever before for retired Chinese residents living overseas to claim their pensions as well.14 Previously, a convoluted claim procedure meant that many overseas-based Chinese retirees gave up seeking their pensions. However, this policy change now recognises their overseas status, thus giving them greater confidence in supporting themselves overseas. Powerful demographic trends, an increasingly outward looking customer base, and improving links between China and the outside world are aligning to create a high-potential market of Chinese retirees looking abroad for property. Educate them: An overseas investment is a huge step, particularly a Chinese investor with little knowledge of property sales procedures in new countries. So, be sure to manage expectations by including a step-by-step breakdown of a sales process as part of your product pitch, outlining fees and levies clients will expect to pay as part of the process, and explaining terms associated with a property, e.g. freehold, tenancy. Put yourself in their shoes: While they may be commonplace in the UK, US, Canada or Australia, most Chinese – particularly the older generation – haven’t grown up with gardens, garages or pools. So do some research to find out what features may appeal to them, and make sure you put features like this front and center in your pitches to add more allure to your properties. Highlight local facilities: Health and education are a huge concern for China’s silver generation, so be sure to offer details of medical, wellness, and educational institutions in the local area. Chinese investors are looking to tick as many boxes as possible with their property purchases, so pack your pitches with as much relevant information as possible. Chances are, strategies like these can win you interest, trust, and completed deals from China’s retirement-minded property investors, so good luck with your promotions, and here’s to a golden return from China’s greying economy.